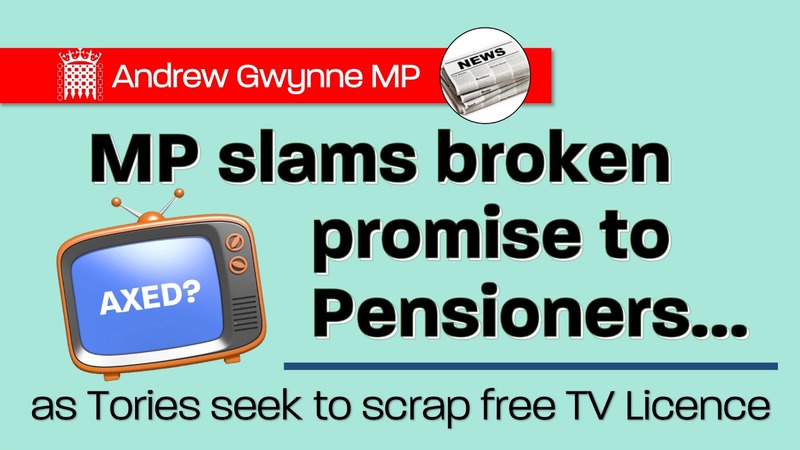 Denton and Reddish MP, Andrew Gwynne, has reacted with anger to news that pensioners are set to lose their free TV licence from 2020. As part of the last BBC charter the Government devolved responsibility for the free TV licence policy, and the cost, to the BBC. The BBC can decide what to do with the benefit from 2020 and they are currently consulting on a number of options including scrapping the free TV licence concession altogether, raising the eligible age to 80 and means testing it, for example by linking it to pension credit. New figures produced for the Labour Party by the House of Commons Library show that under each of the changes proposed by the BBC in their consultation, millions of pensioners will lose their free licences. The House of Commons Library calculated that were the free licence linked to pension credit, i.e. means tested, over 3 million people would lose their free licence. If the eligibility age was raised to 80 over 1.8 million older people would lose their free licences. If the age threshold is raised to 80, an estimated 2,250 local pensioners in Denton and Reddish will lose their TV licence. 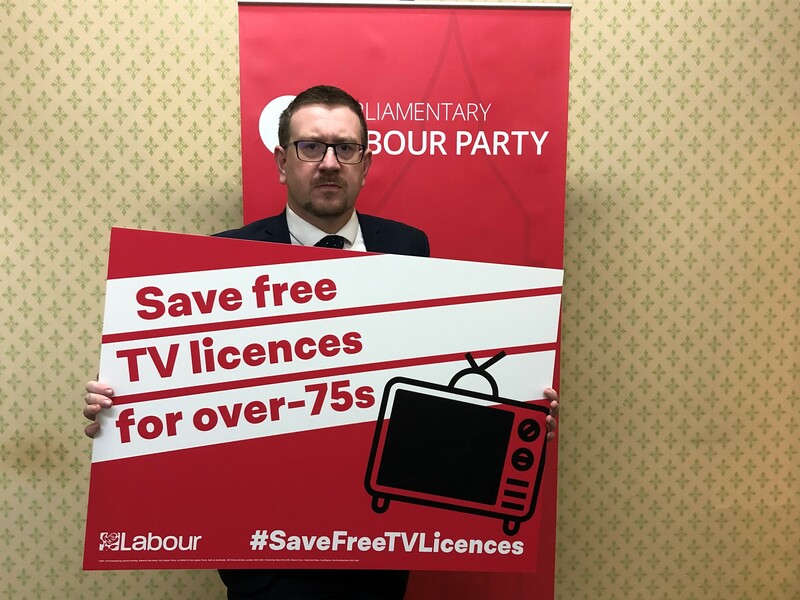 If free TV licences are means tested, an estimated 4,030 local pensioners in Denton and Reddish will lose their free licences. Free TV licences are an important benefit for older people who suffer disproportionately from loneliness and social isolation. The Campaign to End Loneliness found that 40% of older people say their television is their main source of company. The prospect of elderly people losing their free TV licences makes a mockery of Theresa May’s claim that austerity is over. The Government should take responsibility and save TV licences for the elderly. “The Tory Government knew what it was doing when it forced the cost of paying for free licences for over 75s out to the BBC. Labour was completely opposed to this and we are still firmly of the belief that the Government was totally wrong to outsource a social policy in this way.